Here comes the Kingdom Hearts 3 Vinimates! 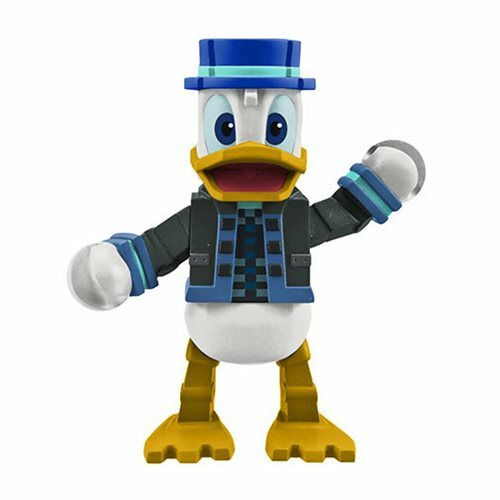 This Kingdom Hearts Vinimates Series 1 Toy Story World Donald Duck Vinyl Figure captures Donald Duck in his Toy Story World look. The 4-inch tall vinyl figure strikes a pose from the game and features a fully articulated neck to customize each dynamic pose. Packaged in a full-color window box.